Besides patent law, Mr. Wang has substantial knowledge and experience in organic chemistry and pharmaceutical research and development. Prior to his legal career, he obtained a MS degree in Organic Chemistry from University of Pittsburgh and was a PhD candidate at Yale University. He had worked in process research and development in a major US pharmaceutical company for two and a half years. 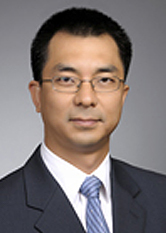 Mr. Wang is co-inventor of a US patent and co-author of a number of scientific publications. He has been an invited speaker on patent issues at conferences in the U.S. and abroad. He is fluent in both Mandarin and Cantonese Chinese.